3D has been around for a while. During my elementary school years, I fondly remember a book called “Henry’s Gift” (or something like that). It was a book where every other page featured a seemingly nonsensical pattern of small images repeated over and over again on the large page. If the reader crossed their eyes and focused on the image they would see something special. If you haven’t done this before, look it up online (Henry’s Gift The Magic Eye). I will provide a sample below. Amusingly enough, Google had even produced an anaglyph filter for their internet browser, Google Chrome at one point. I remember using it but since I had no glasses it defeated the purpose. I do wonder if there were any depth effects that could be seen. Perhaps the menu bar would pop out? I’ll never know, in further updates the feature was coded out. And while I have provided an example of “cross-eye 3D”, I may as well provide an example of a 3D anaglyph image. Below is an image from the recent Rival Survival concert. The concert was quite a big deal as it was (that I am aware of) Morning Musume’s (and Hello! Project’s) first concert broadcasted to national television in 3D. 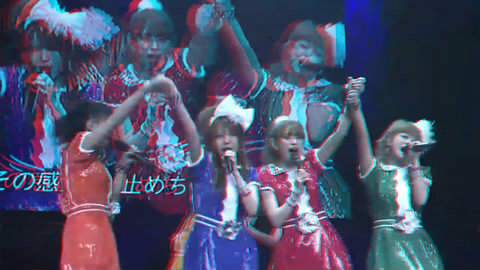 As a disclaimer, the concert wasn’t broadcasted in anaglyph format but rather a double image 3D format. This is a popular format where you simply have two images that are slightly shifted from each other. Special glasses can combine these two images into one featuring the perception of depth. Several years ago we saw the emerging popularity of 3D animation entertainment, such as Toy Story. Today, I’m sure many have noticed there has been a “3D fever” going on. The popular movie, Avatar was the big catalyst for the current RealD 3D technology. Now every movie just has to be in 3D and those 15 second commercials burn an extra 1-2 seconds to say “NOW IN 3D!”. Anyone who has been to a movie theater or watched TV recently knows what I’m talking about. We are in a point in time where 3D may be finally hitting mainstream. Most people were amazed by Avatar and are ready to adopt 3D. But there are still quite a lot of people who are skeptical, who think it’s a gimmick. I for one have thought of it as a gimmick up until I had seen Avatar. Then I seriously thought of it as a gimmick. The number of options and content is still growing. And in order for it to grow there must be some kind of demand. I have read reports about disappointing sales on 3DTVs, so this does not look like it’s panning out well. That being said, technology always grows. I expect to see 3D become close to mainstream or at least luxury that people will consider in the next several years. I don’t know how my eyes will handle prolonged exposure to stereoscopic 3D, but I’m willing to try. Consider this, Nintendo’s new portable system, the Nintendo 3DS is going to be out in a mere week if not less in Japan. This system’s main drawing point is that it features a screen which displays stereoscopic 3D without the need for special eyewear. Think about this for a moment, you can now look at a two dimensional screen much like the screen that you’re reading this with and perceive depth without the need for any goofy or hip eyewear. Needless to say, the interest in the system is very high and many people who have experienced it at trade shows and special events have testified that the system’s 3D capabilities are on par with RealD 3D. I’m pretty excited and you know what a lot of people in Japan are too. I don’t know exact numbers but 3DS is definitely on spot to having a huge release in Japan. I can only imagine what it’ll be like in America when it comes over next month. But what is this kind of discussion doing on my non-gaming blog? Do these men look familiar to you? 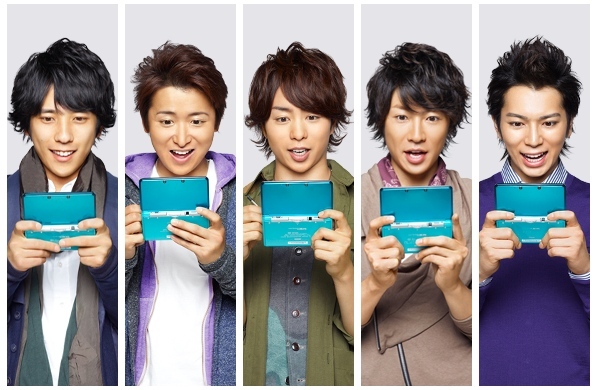 Yeah that’s Arashi, the current super popular Johnny’s group, advertising for Nintendo’s new system. As a comparison, Utada was Nintendo’s spokeswoman for the DS. Utada is big, but Arashi at this point is huge. I won’t get into the current idol war but needless to say the 3DS affects the idol world. Not only do we have idols advertising. But we will most certainly have idols being displayed on 3D on the 3DS. The 3DS will even have 3D television capabilities one way or another. 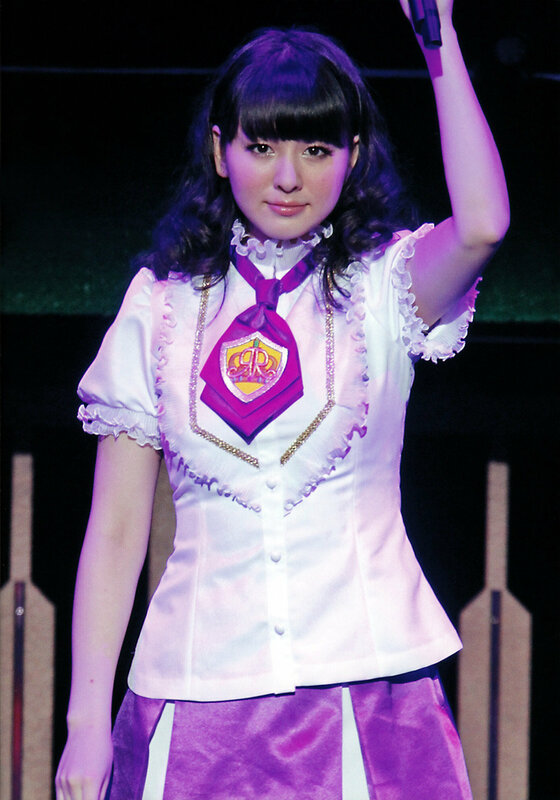 Imagine that, Morning Musume in 3D on the 3DS. 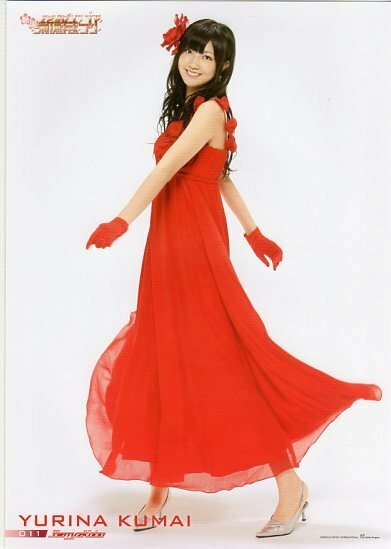 I’m sure AKB will jump on that ship too. I know some gravure idols have already struck a deal. It’s only a matter of time for us to see how the current idols can use this new technology to stay on the market. I for one am quite excited. I have always been a fan of growing technologies and in this day and age it is definitely a must for businesses to play with technology the right way. Blogs, streaming shows, YouTube, you name it, in the past year or two these technologies have played very pivotal roles in the idol world. Look at Chisato who has her OWN solo event, no single member in Hello! Project can even lay claim to this for themselves. AKB owns almost half of the top blog rankings in Ameba. And many groups have streamed their concerts or events and have had wonderfully high viewership. What will 3D hold for us? Morning Musume’s first 3D concert is only a tap on the water. Up-Front knows that with that big concert there would definitely be attention on them. What better way to deliver than with 3D? I don’t know how many people watched it but it was the beginning. I expect to see a lot more from 3D technologies in the next year. And since it is Japan, I expect to see idols driving the technology to the forefront.